Are you itchin’ to do something new and different with the interior of your home? Sometimes, spring or summer kicks people into a new mode, where they feel like everything should be revitalized – themselves, as well as their home. Perhaps you’ve already gone through the house, almost like a stranger, using a somewhat critical eye, and you’ve already decided that a clean sweep, as in… out with the old and in with the new, should be in order. Sometimes that urge just hits, then you get to wondering what exactly is trending in interior design these days anyway? After reviewing some of the concepts about modern interior design below, let’s see if you like a few or many of them, and, once your interest is piqued, why not schedule an appointment with a consultant who will answer all of your interior design questions and she/he could bring all those thoughts and ideas to fruition? A little explanation about modern design style’s origin is in order first. It stems from a design movement that originated at the turn of the last century. The modern-inspired style has its roots in German and Scandinavian architecture and design. It is simple and unadorned and often pairs and harmonizes rustic, back-to-nature concepts such as natural materials, neutral or earthy colors, and simple lines and unfettered detailing. Modern design is borne of minimalism. In fact, the minimalist concept is perfect for apartment dwellers or homes with small rooms, because it maximizes space, thus creating the impression that a room is larger than it actually is. 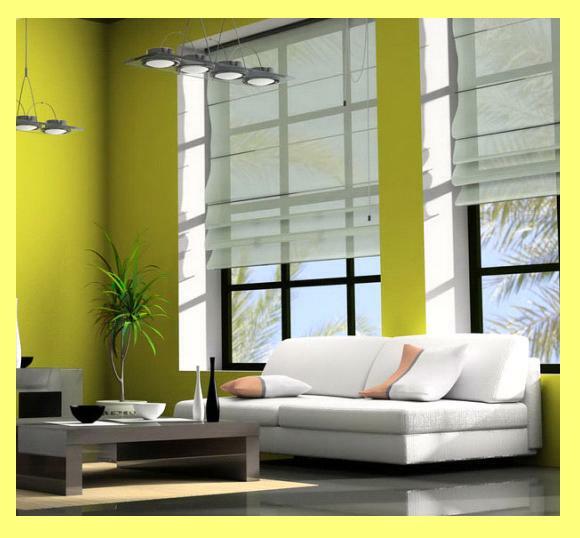 The latest trends for interior design celebrate individuality, simplicity and Green living concepts. The current look is encouraging homeowners to experiment with fresh design ideas and materials, and, as a result, a blend of traditional and contemporary themes, ethnic and retro styles, glamorous and rustic, all which find themselves melded together. With the guidance of an interior design specialist, you, too, could find yourself with a minimalist-style home, but one that is merely devoid of clutter, but not personality. While people do seek interior design that is both chic and elegant, they also are looking for simple comfort. Sure, a look can be all-glam, but why not include color themes and styles that aim to take you back to the earth’s elements. Colors that will help you recreate a natural scene, right there in your very home, are combinations that are light and dark brown colors, gray tones and black. Neutral colors are not left sitting out there to be bland and boring, but, instead help to create a splash and dash of color to spice up their tone. Such contrasting colors might seem a little outlandish with a subdued natural setting, but be sure to look for bright yellow, brilliant emerald green, pink and purple to show up as the current colors in 2015. Mixing and matching furniture, old and new, antique or vintage with modern, provides an eclectic look. Exposing brick walls and concrete surfaces mingled with trendy textures and textiles and polished metal like copper, steel and aluminum, strategically placed here and there, all help to create an interesting melding of different styles which is fast becoming how modern interior design is defined. Imagine using repurposed wood or exposing wooden beams in your home, coupled with rustic wood and classic furniture pieces, and then pairing that rustic theme with vivid colors and a Gypsy style to create what designers say is trending this year. Designers will tell you that the current look is “anything goes” with some of these trendier modern interior design concepts listed below. Green ideas and eco-friendly decorating throughout. Fresh and new combos of textures, colors and definitions. Bright room colors and ethnic-inspired artwork and decorating. The look of natural wood paired with otherwise white décor. Low, horizontal furnishings, with a clean line. Industrial-style elements, like concrete or beams purposely left exposed. The concept of reconverted lofts as very spacious living areas. Translucent-style furniture with chrome trim and raised off the floor. Over-sized wall décor like high letters or interesting artwork. Natural light and plain, unadorned windows are a primo look. Bare floors are preferred to using area rugs or carpeting. Often bright and bold artwork such as murals or wall hangings in bright hues. Accessories are in bright and colorful tones to add pizzazz. Add wood grains that are lighter, like a honey-toned stain that can help accomplish the modern-style theme. That switch to lighter wood is a trend that has been growing for approximately five years now. Use a little creativity to show off your handiwork. Add some personal creations that are your own and hang them from the ceiling, mount and/or frame them and add these items to the mix to highlight and exhibit your personal attempts at creativity.